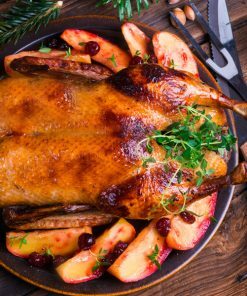 A roast goose is the Traditional centre to the Christmas meal providing a rich succulent meat that everyone can enjoy. Here at Beech Ridge Farm we rear and produce Free range geese for you to enjoy at Christmas. Reared in small groups our geese are free to graze the fresh pasture from as early as 6 weeks old. Fed on cereal based diet free from artificial additives and routine antibiotics and able to mature at their own pace making sure you receive the finest tasting bird at Christmas. At night they are housed in big airy arks that are bedded daily. In the day they have the option of the sheltered arks or the option to roam freely making a true show of themselves as the doors are always left open for them. 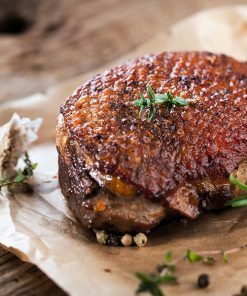 Our free range geese are dry plucked here at Beech Ridge Farm and hung for a minimum of 14 days to ensure a deeply satisfying sensational flavour. 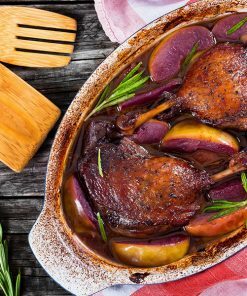 Your free range goose will be prepared ready for the oven with giblets vacuumed packed inside the bird and carefully boxed ready for your collection (delivery may be possible, please call for more details). To ensure you have the best Christmas dinner please order quickly as we only rear in small numbers to ensure absolute quality.